AFFORD Diaspora Grants 3 (ADG3) provided £2000 each for small-scale community and economic development activities to five diaspora initiatives. One of these was for WHEAT Mentoring Support Trust (WHEAT MST). WHEAT MST operate in Ethiopia in the city of Adigrat, Tigray regional state. WHEAT MST’s vision, mission and values are geared towards fighting and defeating poverty by empowering the most disadvantaged groups of a society such as refugees and migrants to give them the opportunity to lead quality life. WHEAT MST initiated the Tsebiqiley Adigrat Gardening and Sheep Raising Project. The objective of the project was to empower the households of 97 orphans economically, socially and psychologically. 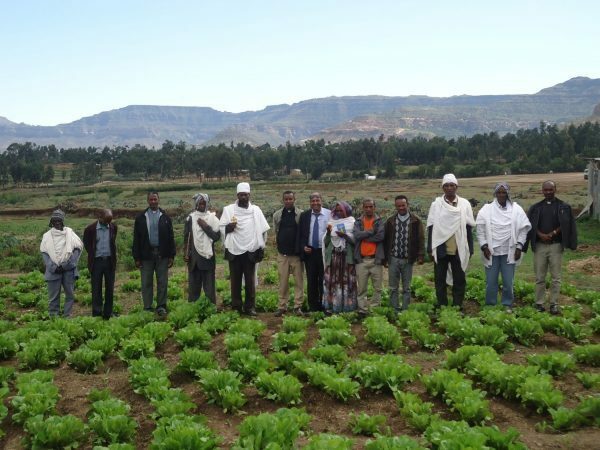 In doing so, they hoped to make them self-sufficient, promote healthy eating in the community, maintain the ecosystem of the town of Adigrat by creating green environment and empower their beneficiaries through business engagement and education. With the help of the ADG3 grant, WHEAT MST has been able to create 7 permanent and 224 casual jobs, including Project Manager, Project Co-ordinators, Gardeners and Carpenters. As a result of these jobs, beneficiaries now have improved gardening, business and management skills; increased income; improved services; increased confidence; improved knowledge and an improved standard of living. This was achieved through activities such as capacity building training for the target beneficiaries on basic farming, farm management, animal farm, marketing of produce and financial management, land cultivation of fruits and vegetables, sheep raising, as well as through the purchase of 15 sheep and the creation of a network of project stakeholders. In addition, over two thousand people in Adigrat including those who bought the fresh produce have benefitted directly from WHEAT MST’s healthy eating principle, all the while maintaining the ecosystem of Adigrat and creating green environment through land reclamation process and prevention of land degradation and soil erosion practices. Most importantly, WHEAT MST have been able to effectively encourage entrepreneurship among their local partners’ members by engaging them in creating their own businesses, development of gardening skills and thereby enhancing their job potential. To find out more about WHEAT MST and their work, please click here.